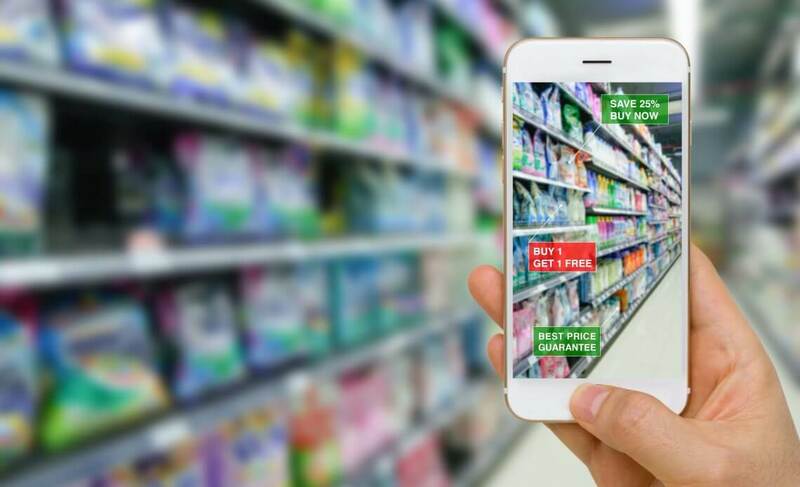 Marketing and AR are graduallybecoming partners in their area of expertise. With the technology now beingavailable almost everywhere, the advertisers or marketers areincorporating it to make a lasting impression on their audience and reachmaximum customer interaction. Perfect Corp. and L’Oreal partnered up in 2017 and came up with the YouCam Makeup app which by far is the most successful in its genre. It gives close to realistic results and has more than 3 million Android users. It even has rating of more than 26k in the app store, where normally it is very difficult to get the users to rate an app. The app allows uses to try L’Oreal’s products to see how would they look on them and whether they go with their skin tone. It’s sophisticated, it’s perfect and a genius way to interact with the customers. AR has found its way in almost every industry and restaurants are no different. Engine Creative developed the Ogle app that made Pizza Hut’s menu way more entertaining. The customers scanned the menu which in turn triggered an image and took them to a trivia game. The app also allowed the customer to place an order directly. Most of all, the 3D images of pizza increased the hunger and made the wait worth it! This app is your ultimate Harry Potter dream come to life. The Harry Potter geeks have always wanted one thing the most out of everything magical: Moving Photos. It has been a fascinating object which now has become a reality. The LifePrint printer, which is a pocket printer, let’s you print video images which can then be viewed by their app to see the AR effect. The video plays up to 15 seconds with audio! Talk about magic! Virtual dressing rooms have been a target of AR developers since the idea came up. For customer convenience, Timberland with its AR app allowed the customers to see their own face and a somewhat similar body for the customers to try out outfits on. A lot of times, the customer wants to buy loads of clothes and find it a hassle to take so many into the dressing room. This way, they can be free of that hassle and try out in a more entertaining way. Pepsi found a way to make an everyday bus shelter an entertaining stop for the commuters. It installed an augmented reality the camera in a shelter that made it look like several UFO’s are taking over the city, or a lion coming up to attack the standbys, or a robot attacking the city etc. The campaign video got almost six million viewers on YouTube and created a lot of buzz everywhere. Renovating a home is not an easy task. You can visualize the paint you might want to do in your head but you won’t know how it would look until after it is done. Home Depot’s Project Color App hit all the right targets. The user could choose the colour and see how it would look on the walls and that too in real life, by taking into consideration all the objects, lighting and shadows. Furthermore, it upgraded the app, which allowed the users to check how their furniture would look in their homes if they are thinking of buying some.